Drench yourself head-to-toe in your favorite color and join us (+ a marching band) for chrom-tastic parade over the Brooklyn Bridge! 129 backers pledged $3,840 to help bring this project to life. We should have the BIGGEST, MOST COLORFUL PARADE YET! So big in fact, we will officially record the parade as the World's Largest Rainbow Parade. If you're in the New York area on April 28, please join us! Donate even $1 to this Kickstarter campaign, and you'll get all the info and updates you need to become a part of the rainbow! And don't be shy about contributing just because you can't make it to the parade in person. You can still get lots of fun rewards, like rainbow Tattly (designed by me) and fun party hats handmade from recycled materials! The first $1500 raised will go towards parade essentials, like hiring an incredible 20-piece marching band, balloons, streamers, bubbles, etc. For every dollar after that, I've got a special surprise up my sleeve to help make the world a more colorful place. And I'm not even kidding about this Rainbow Parade being the "World's Largest." 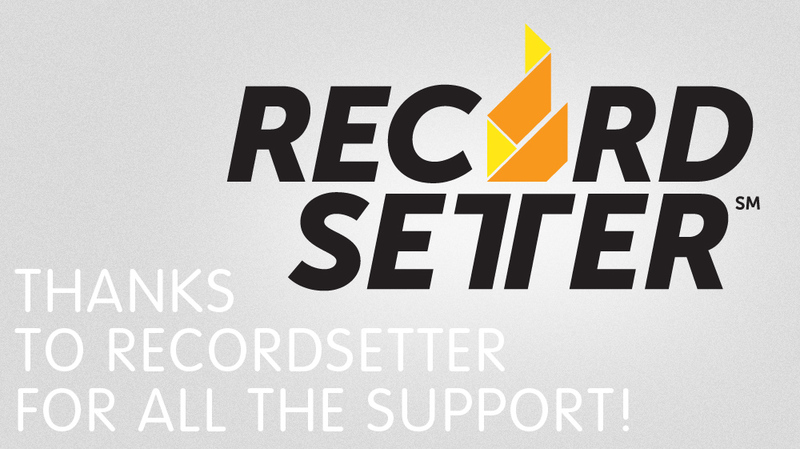 My friends over at RecordSetter will be on hand during the parade to count us all and make sure we establish ourselves as an actual official World Record as a part of World Record Day! I hope others around the globe will try to challenge the record, and the joy of the Rainbow Parade will continually be compounded! RSVP! Let us know if you can attend the parade by choosing your color and getting a free ticket here on Eventbrite. Thank you, thank you, THANK YOU for your consideration. By contributing to this campaign and/or attending the parade, you'll be making my birthday wish come true!!! Get access to Backer's Only emails with updates about the parade and glimpses into the parade planning process! Plus get a shout out in an affectionate post on Lucky So And So! You'll be an official producer of the parade, and Jessi will inscribe your name in GLITTER PAINT onto the glorious streamers of a special rainbow baton she'll wield during the parade!! 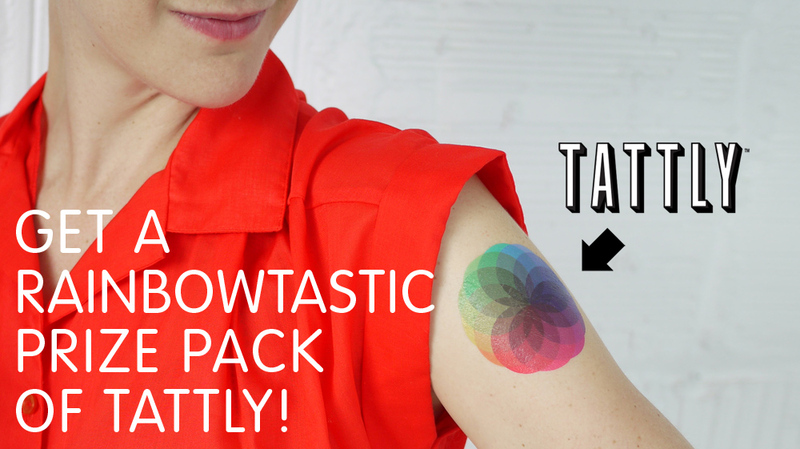 Get the above PLUS a super cool pack of rainbow Tattly temporary tattoos designed by Jessi! This rainbowtastic pack will include at least 6 tattoos. Get all the above PLUS a DOUBLY BIG pack of Tattly temporary tattoos! This means you'll be receiving a total of at least 12 tattoos, including a shiny, new design yet to be created by Jessi. 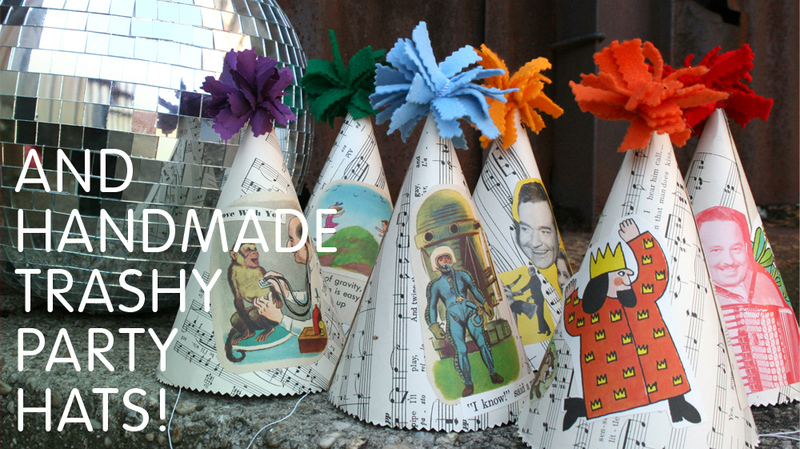 Get all the above PLUS a set of TRASHY PARTY hats handmade by Jessi from materials found at Film Biz Recycling! Get all the above, PLUS Jessi will make a personalized 1-minute video for you (or a loved one of your choice) DURING the parade! Everyone at the parade will get a CUPCAKE thanks to you! We'll create a personalized video for you just when all our mouths are full as a big thank you!